With advances in modern medicine, the use of stem cells to combat serious—often life-threatening—illnesses and/or disorders has gained more and more traction. While you may be aware that the blood in a newborn’s umbilical cord can be a great source for obtaining stem cells to be stored for future medical use, did you know that an alternative (and possibly better) source for procuring pediatric stem cells is your child’s teeth? The stem cells found in teeth are believed to offer greater therapeutic benefits than those found anywhere else in the body. Research suggests that not only can these stem cells reproduce rapidly in a lab environment, they also have the potential to treat an increased number of medical conditions due to their ability to naturally evolve into different cell types. When it comes to tooth stem cells, however, there are a couple important details to keep in mind. First of all, the earlier in life tooth stem cells are collected and stored, the better. (Think of it this way—the younger a cell is, the less time it’s had to deteriorate via age, pollution, etc.) Secondly, in order to successfully obtain stem cells from teeth, there has to be a blood supply connected to the tooth when it is extracted (i.e. the tooth should be bleeding slightly). For this reason, it is recommended that parents schedule a tooth extraction for their child with a dentist who has the necessary means and experience to effectively procure stem cells at the time of the extraction, rather than pulling their child’s tooth out themselves or waiting for one to fall out on its own. At Imagine Advanced Dental Arts, New Jersey dentist David Schor, DDS and our skilled team offer pediatric tooth extraction to assist parents wanting to bank their child’s stem cells. 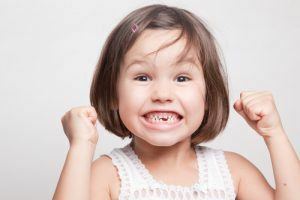 Our practice utilizes state-of-the-art technology and techniques that can help keep your child as comfortable and pain-free as possible throughout the treatment, and we can even perform a number of other family dentistry services as part of the same visit, if desired. For more information on tooth stem cells, or if you are interested in stem cell storage for your child, we encourage you to contact our practice today.